We have designed and tested these customized systems to work in the New England area. Place a camera where you need one and have 24/7 video streaming to your head end equipment. 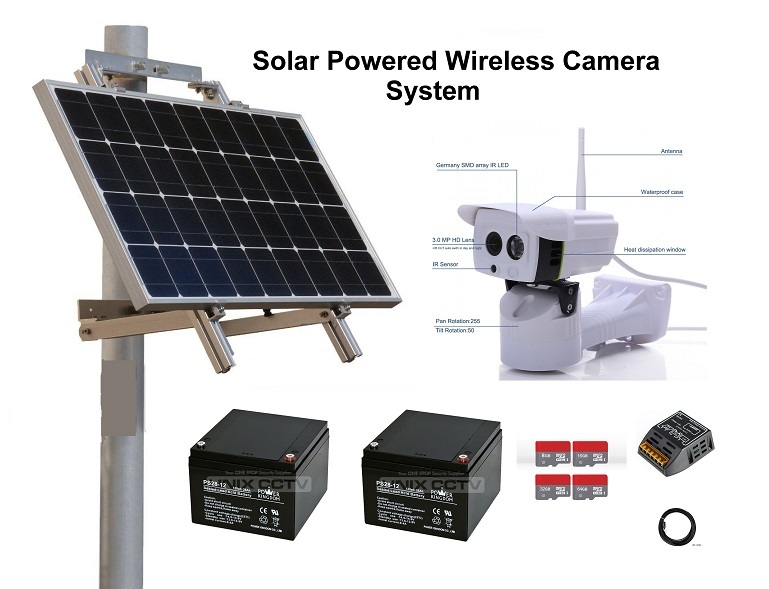 These complete systems are perfect for construction sites, parking lots, special events, etc. Please use our contact form to request further information. We have wireless cameras that record in the camera, can email snapshots, and can send 24/7 to an NVR for continuous recording. 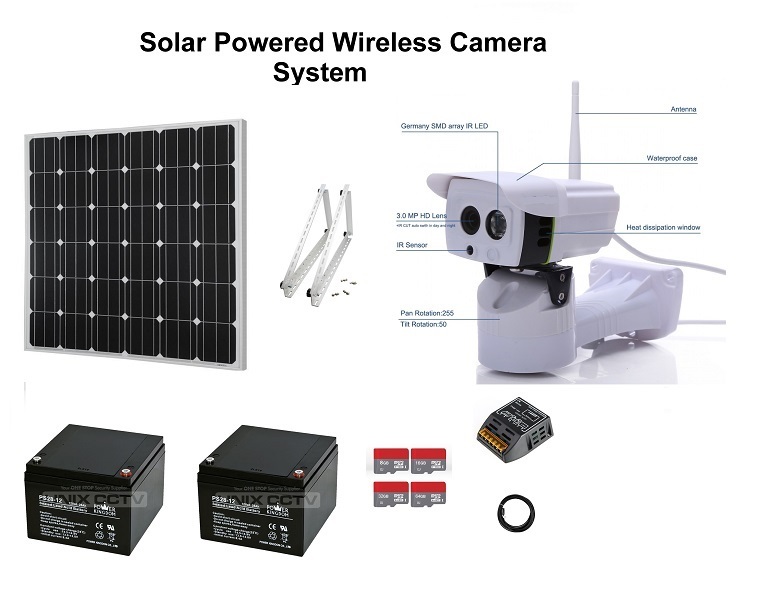 Welcome to Solar Camera Systems. 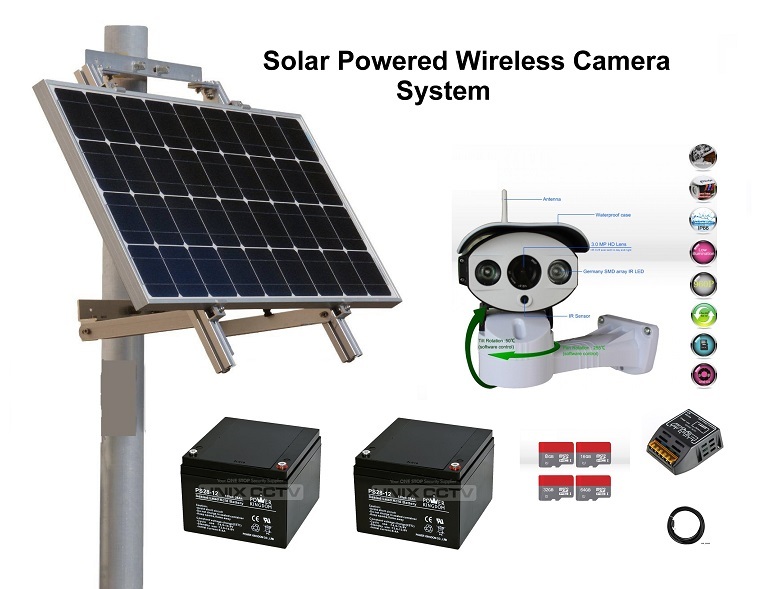 Solar powered cameras allow the placement of cameras where you desire them, without the need to run wires back to your main equipment. We have created a simple and secure way to provide you the surveillance you need with the options you desire. 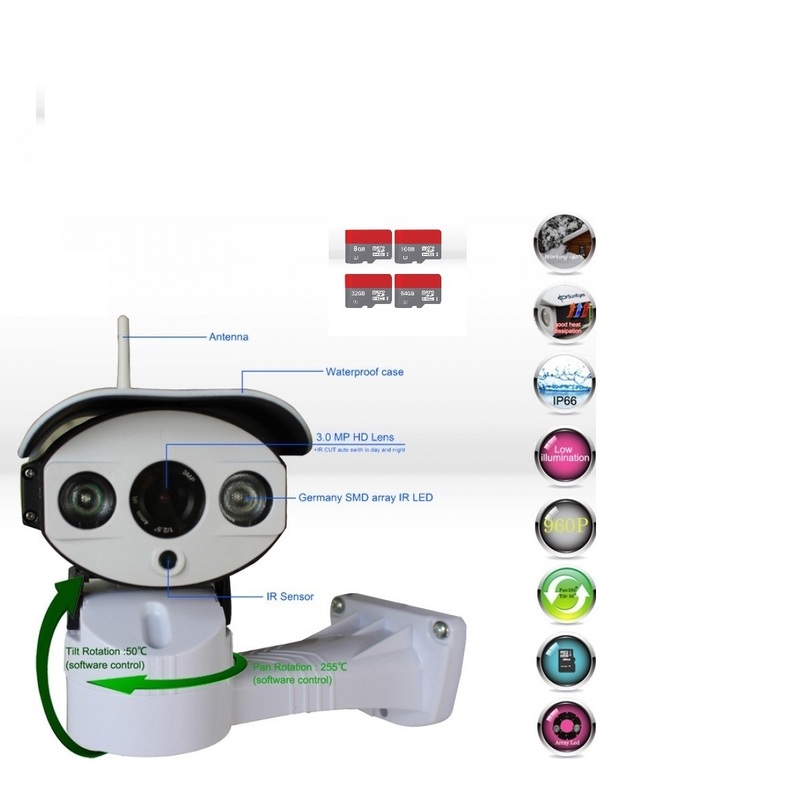 Our cameras can be used as standalone or as part of a larger system. 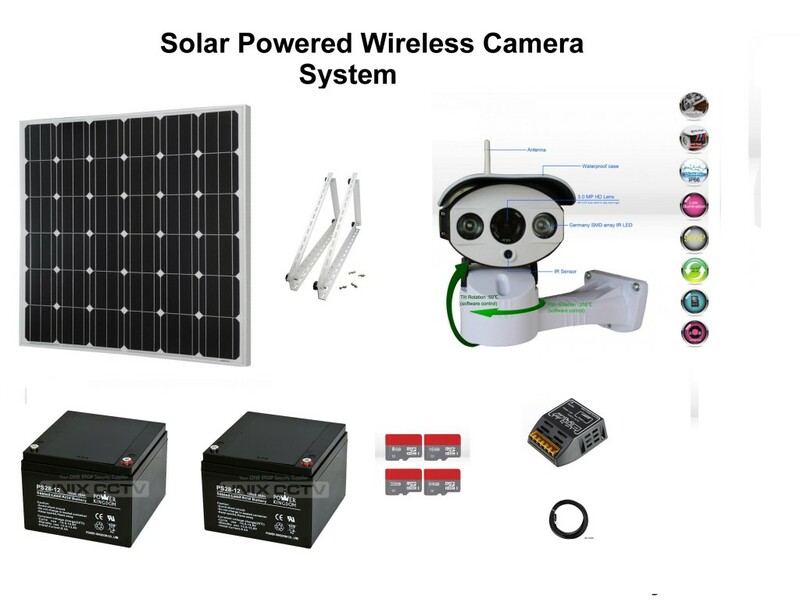 Our solar camera systems are complete with all the equipment necessary to monitor and record your camera, with the option to expand and add additional cameras. We have created an affordable surveillance system that operates in New England winters as well as being secure and independent from your existing systems. Our systems are perfect for remote sites, construction sites, parking lots, driveways, and combination sites. We have purchasing through PayPal on this site,and we have an online store at https://www.alarmsboston.com/welcome-to-our-store, where you can purchase our products. We also offer financing to those who qualify at our alarmsboston store. 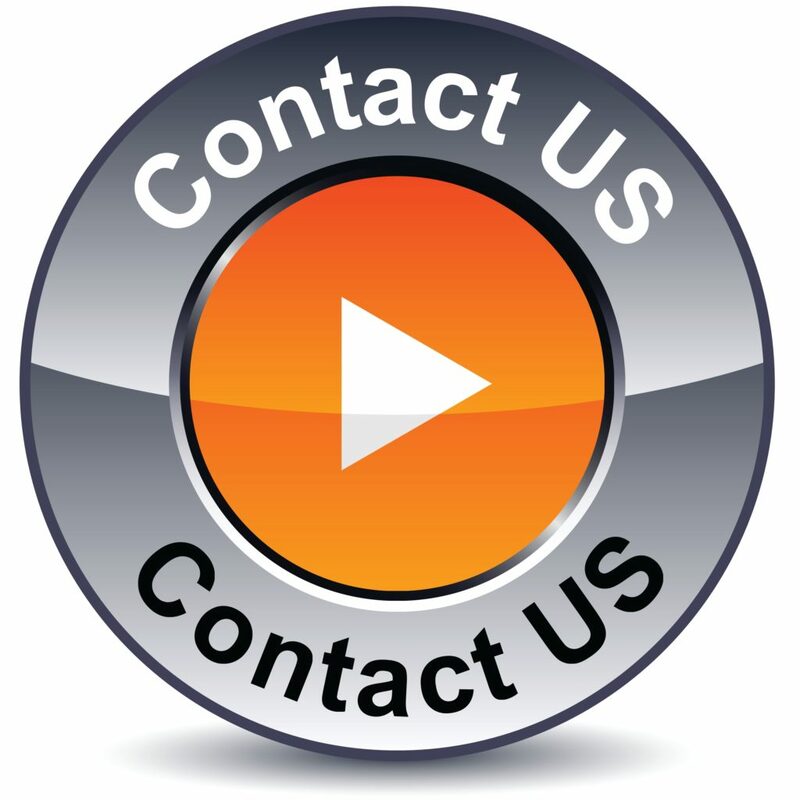 You can also get additional assistance by calling, emailing, faxing, or using our contact form. We look forward to hearing from you.